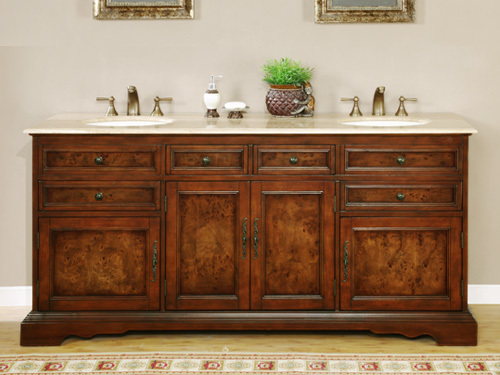 The Nicosia Double Bath Vanity features a beautiful hand-painted finish with antique brass hardware. 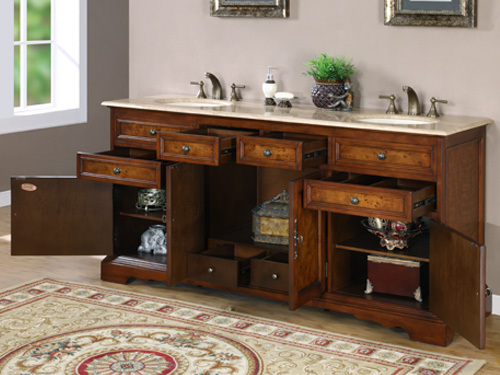 This vanity proves that traditional style does not mean boring. 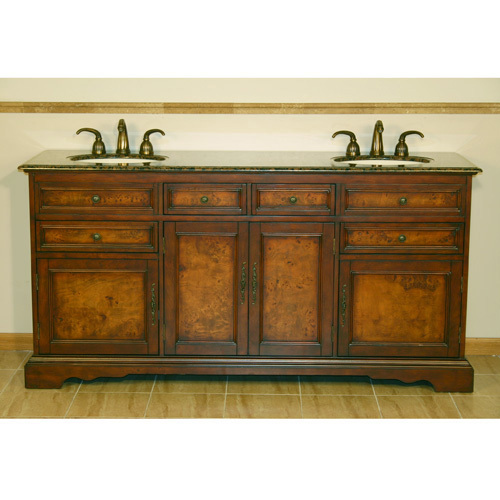 The counter top is available in either Baltic brown granite or Travertine. Both options come pre-drilled for simple faucet installation and also include double under mount ivory ceramics sinks. 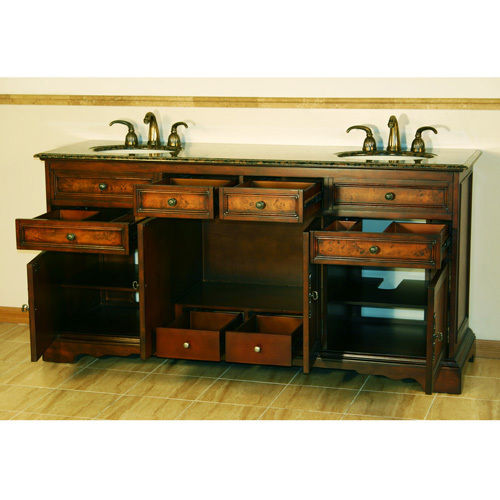 For storage and organization, this vanity features six drawers and four doors.